Indian companies have become matured, while tough competition remains within the domestic market of the country, Indian companies are exploring more markets and adding more dimensions of competition. In the last decade we saw growing number of acquisitions by Indian company not only of smaller brands but also of much bigger and prestigious brands. In our previous article we discussed how the former colony India has been acquiring more businesses in the UK and “Indianizing” them, becoming the largest employer in the private sector of the UK. It is observed that Indian companies in a collective manner targeted UK businesses more actively, it could be unintentionally or may be some kind of nationalism. Indian companies are now equally active in the rest of the geography in the race to secure resources and technology. 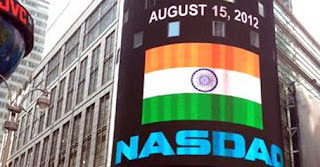 In a report by Columbia University, India has gushed as the world’s 21st largest outward investor, having more than US$75 billion in foreign investment in the last decade. In another report by the Reserve Bank of India, during 2009-10 alone, the investments by domestic Indian companies in overseas joint ventures and wholly-owned subsidiaries stood impressively at US$10.3 billion. Year 2000. One of the first major overseas acquisition by an Indian company was the acquisition of popular UK brand Tetley. Tata Tea in 2000 acquired Tetley for US$407 million. At the time of acquisition Tetley had three times the turnover of Tata Tea in India, but now it is the front runner brand of Tata Global Beverages and has made its successful presence in over 70 countries offering nearly 500 different varieties of popular tea. Year 2003. In the year of 2003, one of the key Korean based commercial vehicle company, Daewoo was acquired by Tata Motors. Daewoo was famous for the cars Cielo and Matiz. After the acquisition Daewoo cars disappeared from Indian markets. Today Tata Daewoo is in the heavy vehicle business with its manufacturing and assembly mainly in Korea, India and Pakistan (Afzal Motors). Year 2005. The confidence in the management of the Tata boosted so high that one by one it acquired more companies in US, South Africa and East Europe making it world’s second largest branded tea maker. US herbal and green tea brand Good Earth was bought by Tata Global Beverages in 2005. 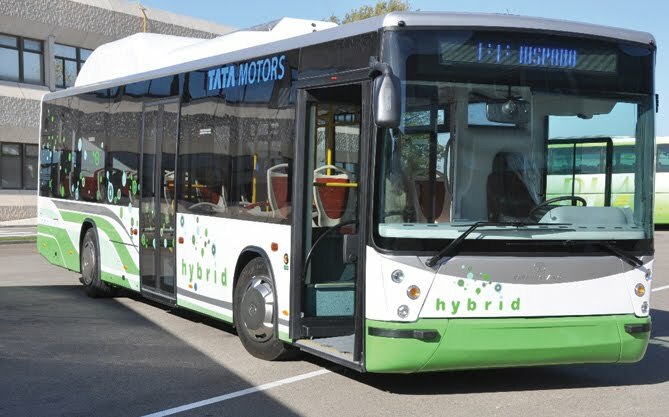 In another move in the automobile industry Tata Motors bought one of the largest manufacturer of bus and coach cabins in Europe, Hispano Motors Carrocera in 2005. Apart from their main plant in Zaragoza, Hispano also has another facility across the Mediterranean sea in Africa, Casablanca, Morocco. Their combined capacity is to produce nearly 2.000 unites per year. With this acquisition Tata also brought a number of jobs by bringing manufacturing of Hispano bodied buses in India at ACGL plant in Goa. These buses are known as Tata Divo. Later, in the same year Tata made another acquisition in the UK. UK-based Brunner Mond group and US-based General Chemical Industrial Products were back to back bought by Tata Chemicals. Year 2006. Another US based beverages firm Eight O’ Clock Coffee was bought for US$220 million. Tata also successfully established itself in the tea markets of other small countries like Czech Republic, where it owns JEMČA which is the biggest selling tea brand in the country. In a move to secure resources around the world, Indian companies are actively spreading their arms. A study by Ernst and Young reports that the Indian companies have advanced in recent years and have invested appreciably in securing mineral resources. For the first time, in the year 2010, India-based companies scored over Chinese counterparts in the acquisition of foreign mineral assets. To support the statement, Indian companies had invested US$4.64 billion in 2010 to acquire businesses outside India, while Chinese overseas investments declined by more than half to US$4.45 billion. Year 2007. Tata, just after one year of making its dominating presence in the tea markets of US and UK, moved on to the next big thing, Steel! In the year 2007, ambitious Tata Steels bought a company five times bigger than itself for US$12.1 billion. At that time Corus was ranked eighth largest in the world. This pushed Tata Steel from 65th position in the world steel production to a comfortable 5th position. In an another move in the metallurgy industry by another Indian company, Aditya Birla Group acquired Canadian Novelis, an aluminum producing company, for around $6 billion by its flagship company Hindalco Industries. This acquisition has made Hindalco world’s leading aluminium rolled products producer. Year 2008. India made notable acquisitions in the sector in which it is considered the world leader, IT sector. Indian company HCL acquired UK based enterprise solution provider Axon in mid 2008. Overall Axon group and its subsidiaries has constituted 14% of HCL Tech’s revenue of Rs 16,030 crore and net profit of Rs 1,646.5 crore proving impressively beneficial. HCL, Infosys, and Tata Consultancy Services have till date acquired large number of companies or established their centres around the world and maintain world dominance when it comes to IT. 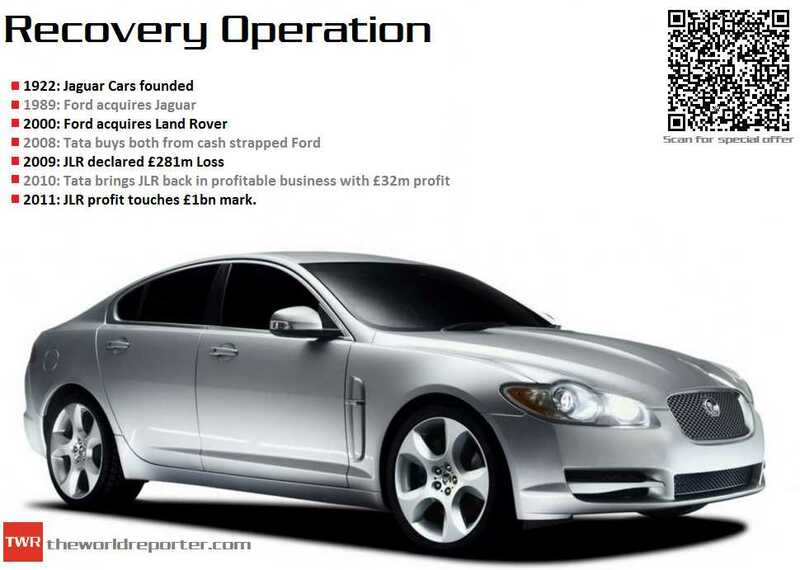 In the same year, in one of the most surprising deal Tata Motor’s acquired prestigious British Jaguar and Land Rover auto brands. Still very few are aware that Tata Motors owns these super luxurious British automobile brands since 2008. Tata never renamed it as Tata Jaguar. Buying from the cash strapped Ford, Tata has now recorded massive net profit in JLR section. Year 2009. When most of the Indian private companies were surprising the world with one after the other big acquisitions, state run Oil and Natural Gas Corporation (ONGC) also expanded its arm, and this time again it was UK! In January 2009, ONGC bought U.K. firm Imperial Energy for $2.1 billion. It was one of the biggest foreign acquisitions by ONGC Videsh (OVL), which is the overseas arm of ONGC. OVL successfully holds stakes in various parts of the world, notably the Gulf, Latin american and Siberia. Year 2010. In mid 2010, In one of the largest coal mines deals by an Indian group, Adani Enterprises, in a cash and royalty deal, acquired the Australian coal assets of Linc Energy for US$2.7 billion. Flowing in the spirit, Sahara India Pariwar in late 2010 controversially bought iconic Grosvenor House hotel in London for 470 million pounds (around Rs 3,250 crore), which gave it a considerable stronghold in the global hospitality business. Sahara India Pariwar had been losing businesses in India, Sahara airways, one of them. Sahara is also known for sponsoring various Indian and Bangladeshi sports team. Talking about sports, Venky, flagship company of Venkateshwara Hatcheries Group bought Blackburn Rovers, 135-year old English premier division football club which however could not keep club’s fans happy. Peter Cappelli, George W. Taylor Professor of Management at The Wharton School and Director of Wharton’s Center for Human Resources says, “They [Indian Companies] are aware that there are markets that have not been exploited, and they want to take advantage of them, but not if foreigners get one hundred percent of the profits,” explains Peters. He further adds, “That way, they guarantee that India will not be sold off to foreigners.” He says India and Indian companies are giving more important to their development and are open to foreign companies to gain expertise, technology and funding while maintaining control. “India wants to create its own companies and brands, while China leaves the road wide open to foreign companies,” says Peters. India, which is third largest economy in terms of GDP (PPP) knows that it needs a stable economy if it is dreaming of becoming a super power in every manner. A strong economy, jobs, education, food security and political stability will help India excel in the path which it has already chosen. A number of foreign acquisitions like these have helped Indian companies gain expertise, technology and management lessons which will help this country shape even more global brands in the future. Companies like Tata, Birla, Reliance and Jaypee are also determined to structure better education in India through their state of the art institutions of technology. Foreign acquisition did bring some jobs to India and more importantly India has secured and has been securing some of the key resources field around the world, that will keep feeding its giant economy in a long run.